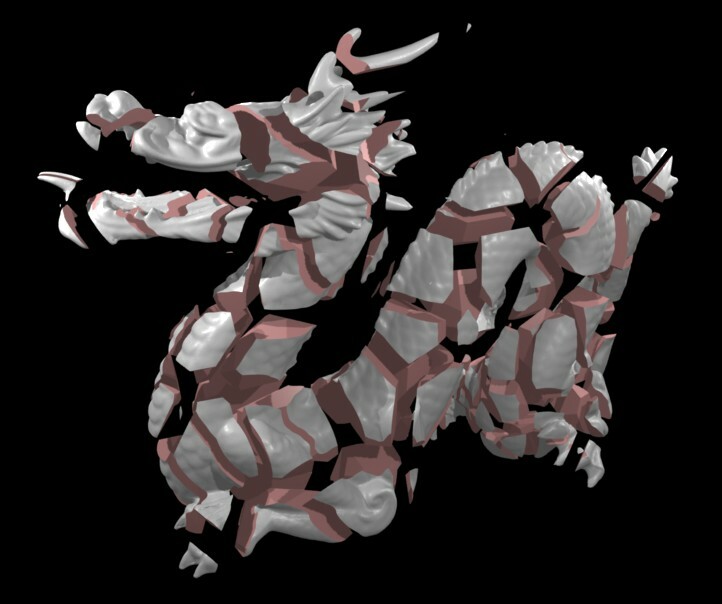 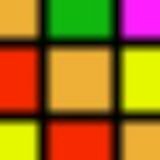 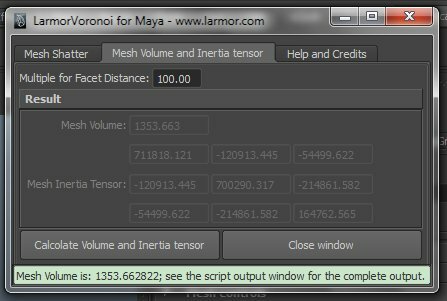 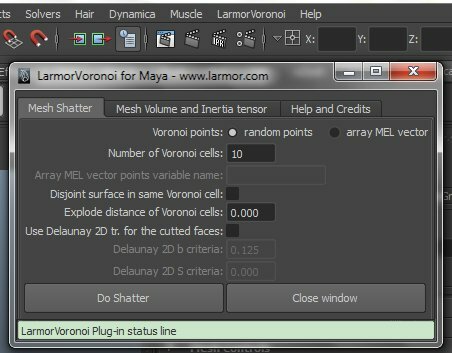 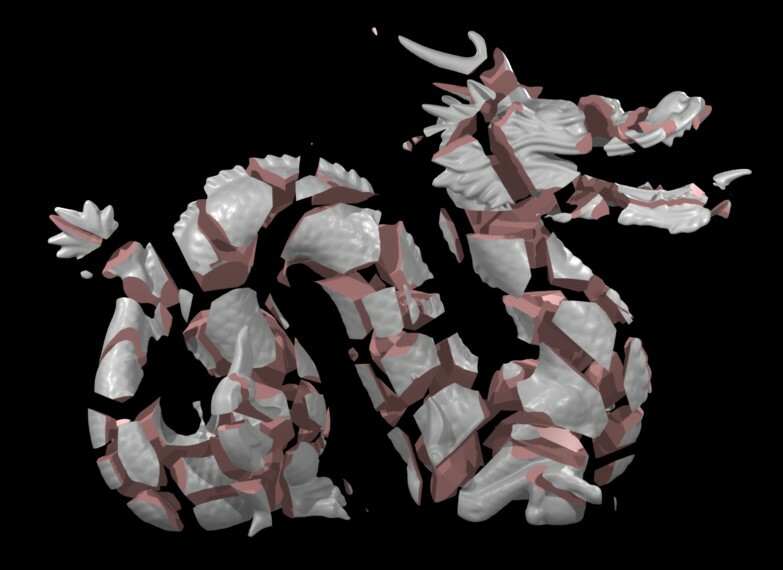 LarmorVoronoi is a Voronoi Shatter Plug-in in C++ for Maya 2012/2013/2014 for Windows, Mac OS X and Linux, that uses the Larmor-Physx Voronoi Shatter API. 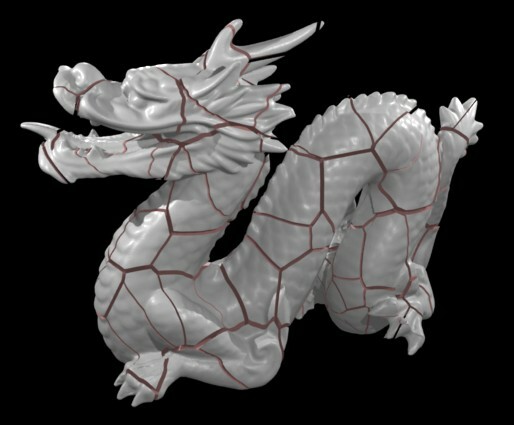 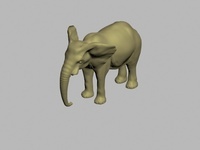 The Plugin is Free Software released under the GNU/GPL License and it is part of the Larmor-Physx Voronoi Shatter API. 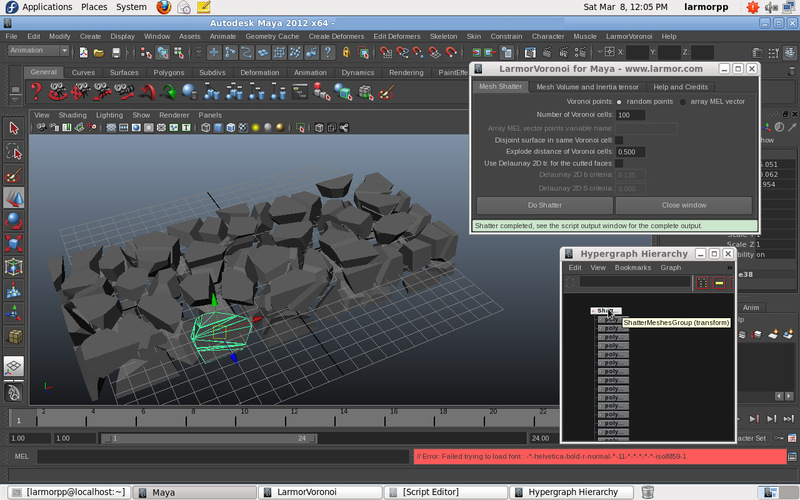 Plug-in Binary version 1.1.1Beta-Build78 for Maya 2012/2013/2014 Mac OS X.
Plug-in Binary version 1.1.1Beta-Build79 for Maya 2012/2013/2014 Linux (x86_64). 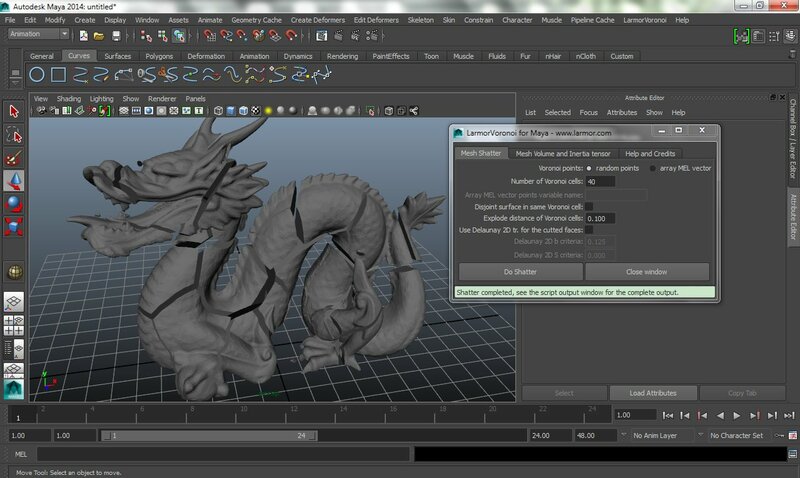 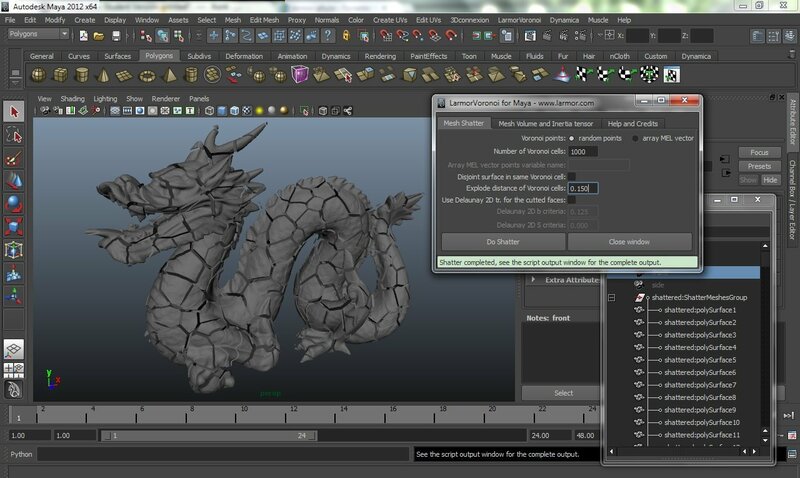 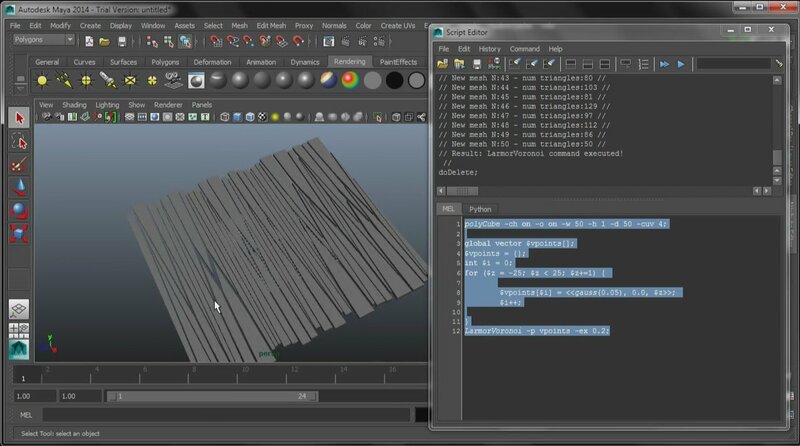 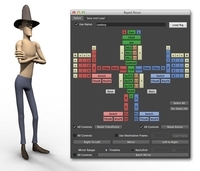 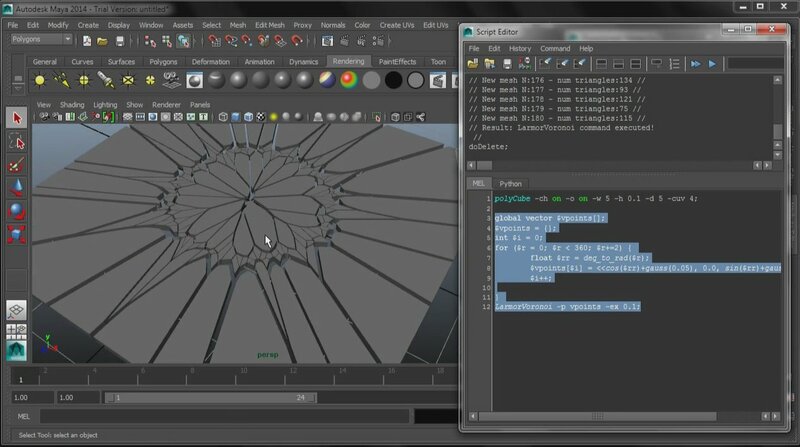 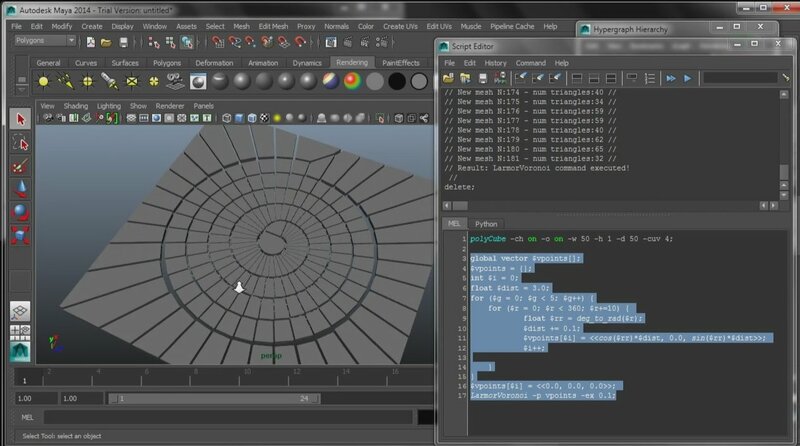 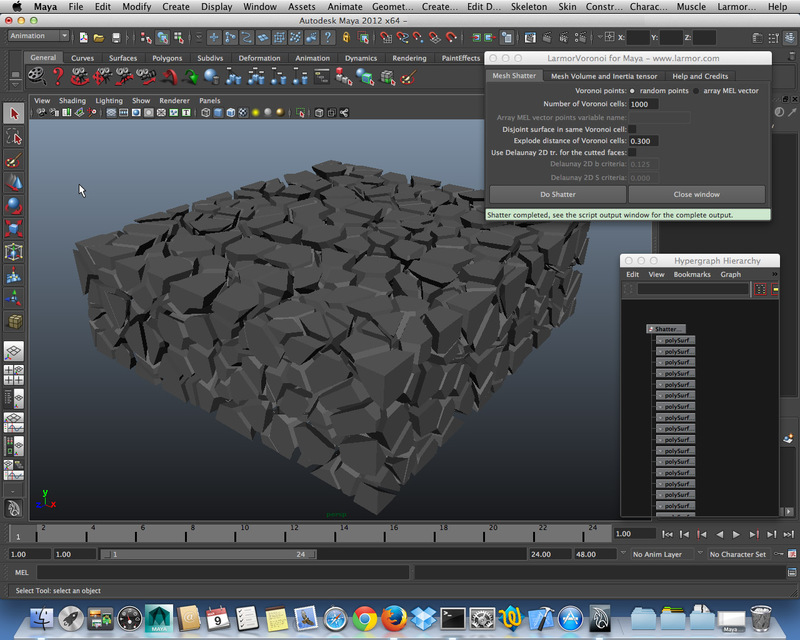 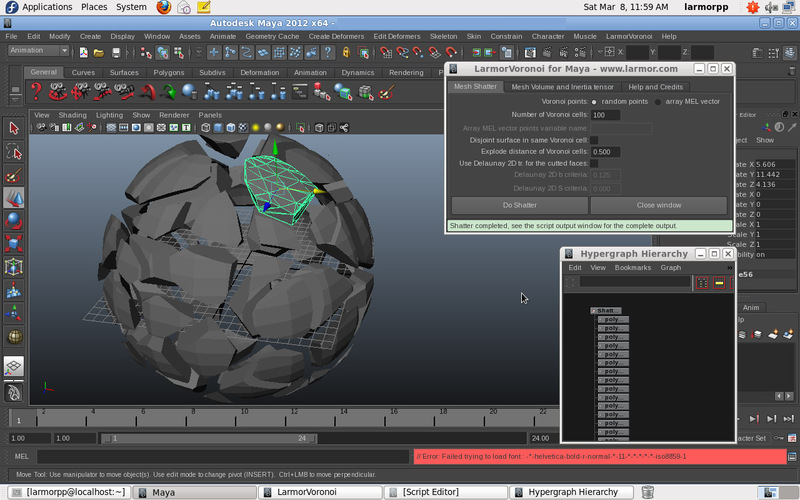 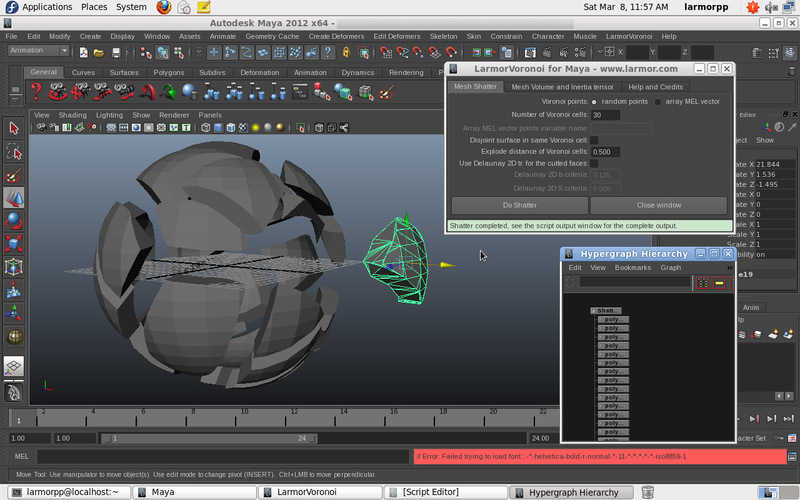 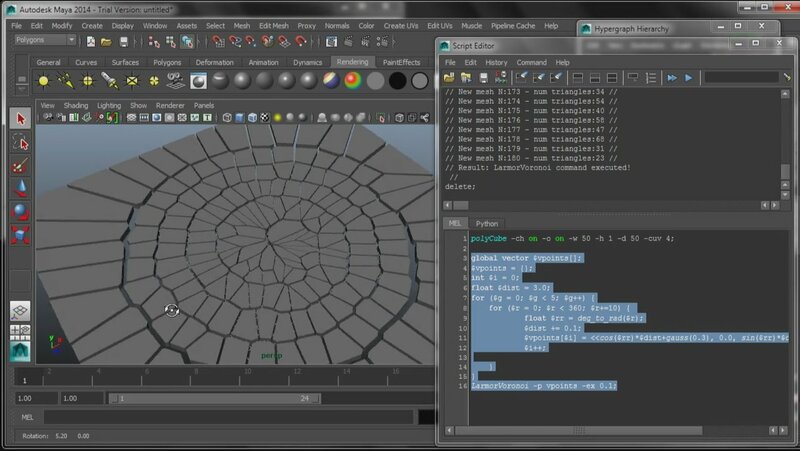 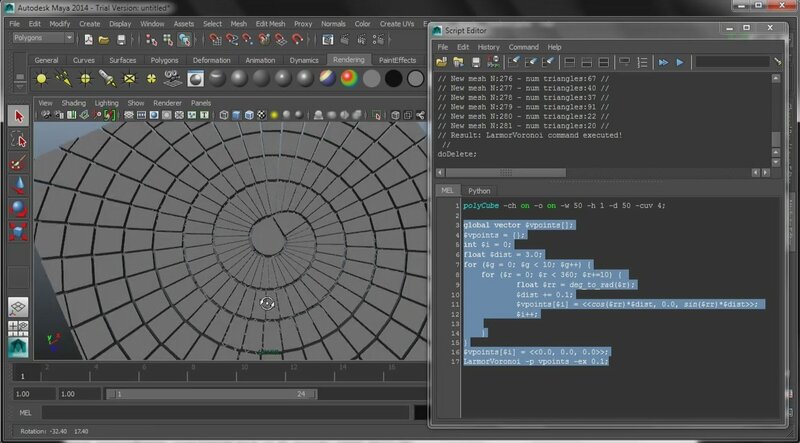 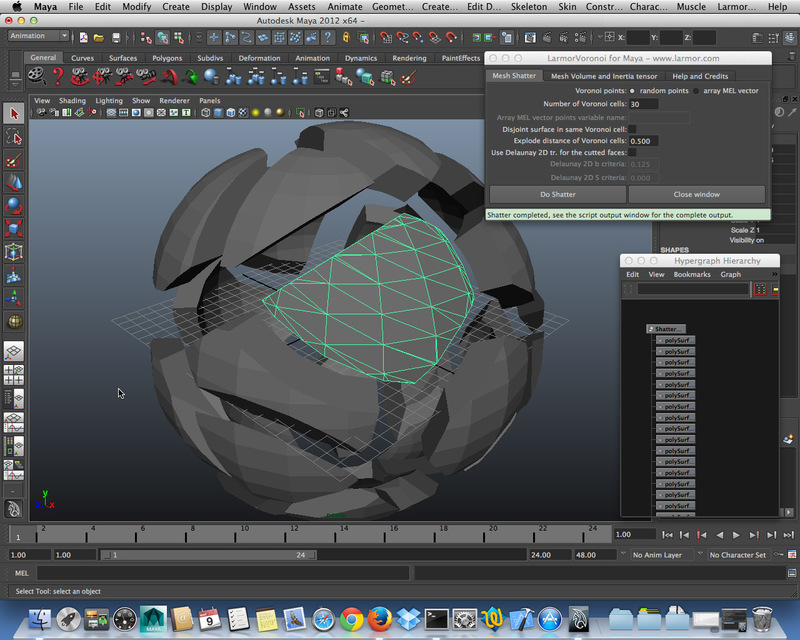 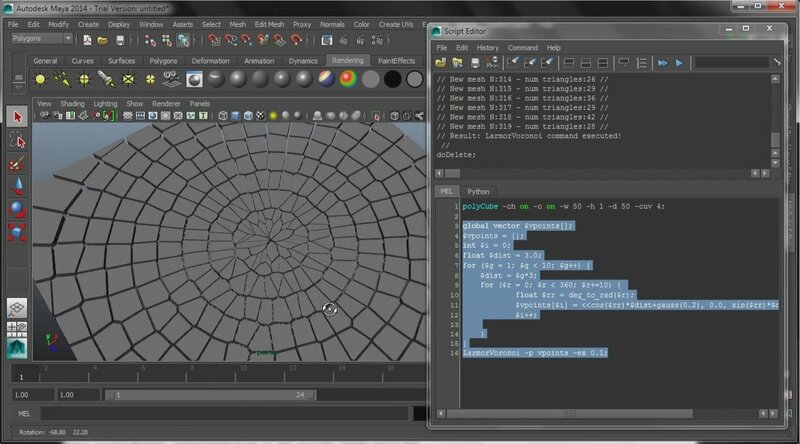 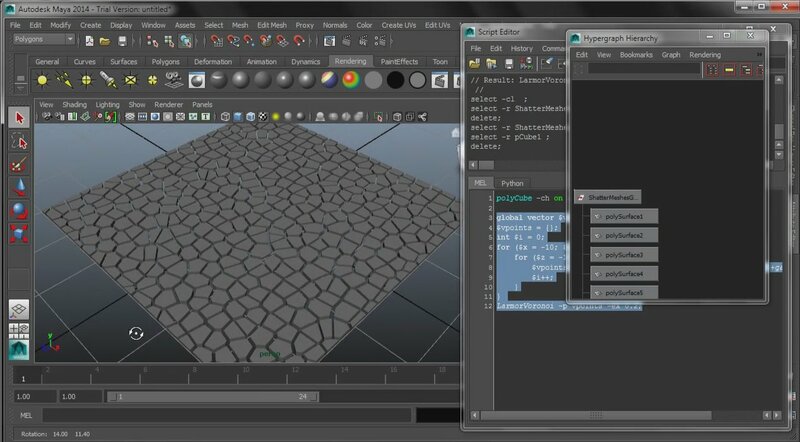 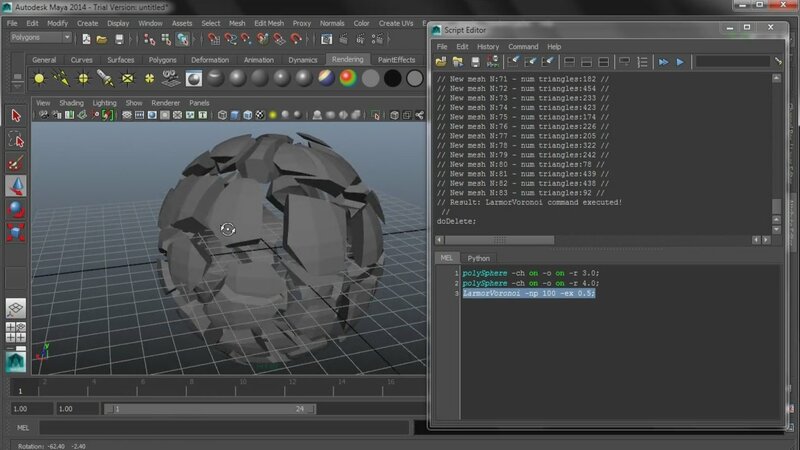 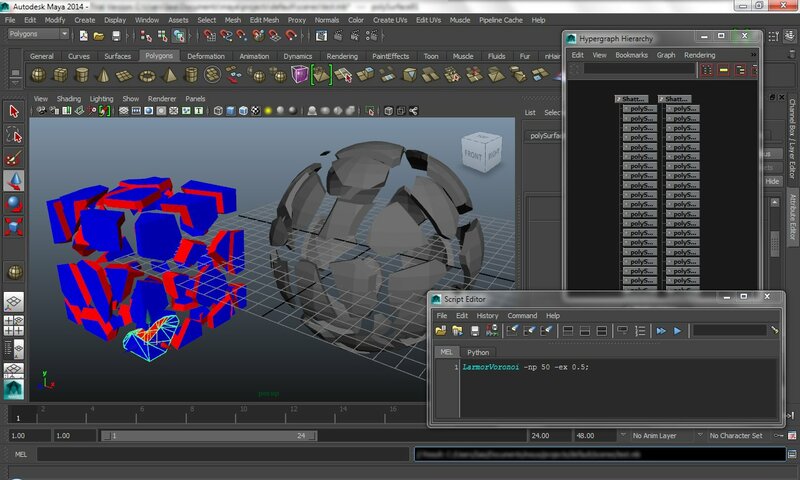 Plug-in Binary version 1.1.0Beta-Build77 for Maya 2012/2013/2014 Windows (64 bit). 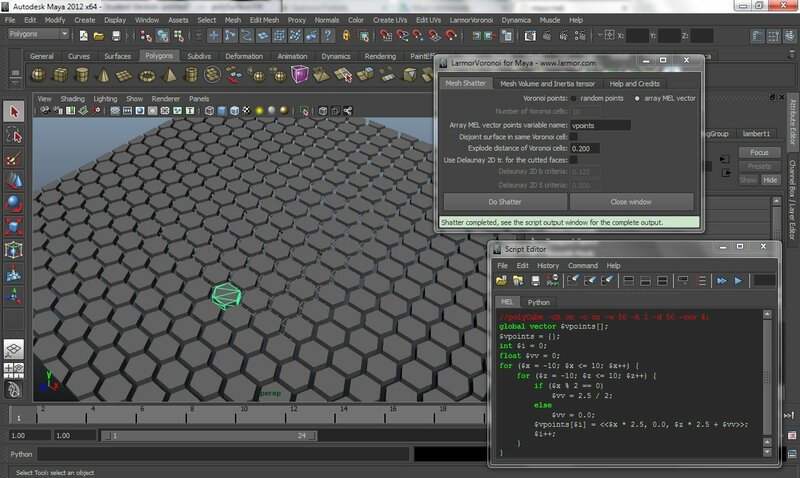 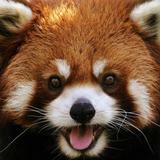 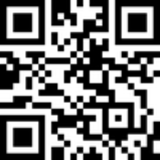 For last news, documentation updates and video tutorial visit the project page.